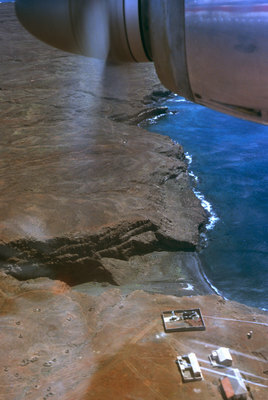 Aerial view of an inlet into a rocky and dry coastline. Four structures are pictured. They may be homes or fisheries.